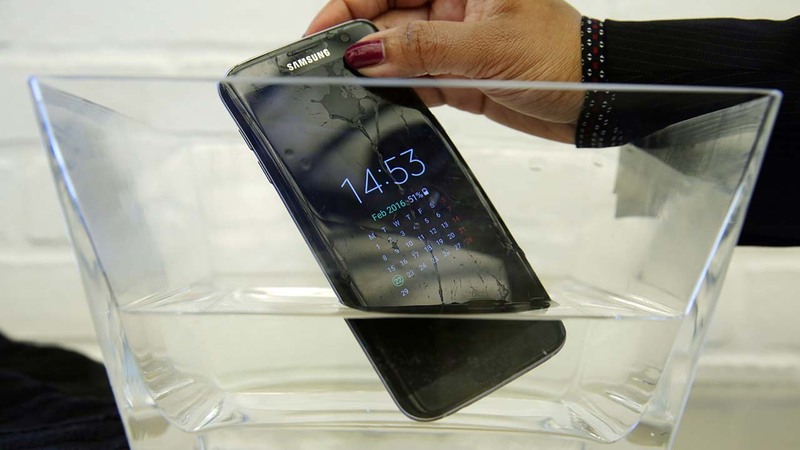 NEW YORK -- Consumer Reports says a Samsung phone that's advertised as being "water resistant" actually isn't. Consumer Reports, a non-profit organization that is well respected for its product testing, said Friday that it can't recommend the Active because it doesn't meet Samsung's own claims. By contrast, Consumer Reports rates the S7 and S7 Edge phones as "Excellent" for their displays, battery life and cameras.